Will Parker is a sixth generation Mississippian who was raised in Inverness, Mississippi located in the Mississippi Delta. Will received an undergraduate degree from Millsap's College in 1990 and a law degree from the University of Mississippi Law School in 1994. 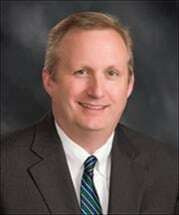 Will moved to Meridian in 1994 and worked for Hamilton Law Firm as an associate until 2003. That year, Will opened the Parker Law Firm. Since the late 1990's, Will has focused on Worker's Compensation claims, Social Security Disability, and personal injury claims, including auto accidents and slip and fall claims. In 2008, Will renovated a downtown building a few blocks from the Courthouse, which is now the current location of his offices. His office is easily accessible and located at 2110 Front Street in the heart of downtown Meridian, next door to Jean's Restaurant. Will Parker is a member of the Lauderdale County Bar Association, the Mississippi Bar Association, and the Mississippi Association for Justice. He has served as President/Vice President of the Lauderdale County Bar Association, on the Board of Governors for the Mississippi Association for Justice, and board member of the Mississippi Worker's Compensation Educational Association.